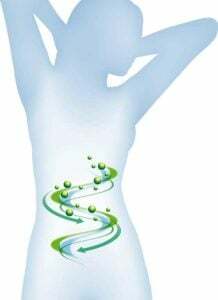 Peptides are an exciting area of medicine and can be used for anti-aging, immune function, gut healing and tissue repair. The most effective peptides are Ipamorelin, CJC-1295, BPC-157 and Thymosin Beta 4. If this sounds like another language don’t worry, today we speak with one of the leading pioneers in peptide therapy in the world, Dr. William Seeds. He helps us see an easy outline of what peptides work best for anti-aging, compared to gut healing, compared to tissue repair compared to autoimmunity. I think you will really enjoy it! Dr. Michael Ruscio, DC: Hey, everyone. Welcome to Dr. Ruscio Radio. This is Dr. Ruscio. Today, I’m here with Dr. William Seeds. And we’re going to be talking about peptide therapy. You may have remembered the conversation with Dr. Kevin Wallace a while back. Well, Dr. William Seeds is, from what I’ve heard through the grapevine, one of the top dogs in this field and very much so on the cutting edge. So I’m very excited to have him here today with us and to be able to pick his brain. William, welcome to the show. Importance of tissue repair: The acceleration of tissue healing as well as improving extracellular matrix. Thymosin B4 (TB4) is good for tissue healing/repair. How to find a good doctor with peptide experience? Dr. William Seeds: Thank you for having me. DrMR: Can you tell people a little bit about your background and how you got into the use of peptides specifically? DrWS: Wow! That’s a pretty loaded question. Well, my background, I’m a board certified orthopedic surgeon, also board certified in orthopedic sports medicine. It goes back to medical school and before that, just being interested in the Krebs cycle and all the things that have to do with enhancing mitochondrial function and immune system and all those things that we learn back in medical school and we thought might have had a relevance. But at the time, those were things that I had a background in molecular biology. And that was of great importance to me. So it has stayed with me throughout my training and focusing more on the basic sciences of orthopedics and BMPs and bone restoration, ligamentous and muscular repair and regeneration. And all these things have been questions that I’ve been looking at over the last 25 years. So my expertise has just grown over questioning and just having experience in the general knowledge of really the basic function of the cell and the mitochondria and the immune system. And that has helped me develop a pretty robust understanding of what I’ve been able to do. Initially when I got really involved, I’d say, about 10, 12 years ago when I started implementing peptides into the reparative part of my practice and working on how there have to be better ways that we can work on ligamentous repair, muscle repair without scar tissue generation, with generating the right type of collagen (type 2 as opposed to type 1) in ligamentous injury. What can we do to augment cartilage injury? So a lot of those questions and answers I’ve been working on for quite awhile from basic science and clinical side. And it’s one of those things where you get some injuries. And you have the experience of working with some peptides. Back then, the more specific peptides that most of us were intrigued with were the GHRHs and the GHRPs where you could regulate your own endogenous and physiologic release of growth hormone because we knew growth hormone has some influence on repair and restoration of function, things like that, and also a profound influence on the immune system. And so it was things like that where we started off with some of these peptides and trying to enhance and accelerate wound repair. And then the thymosin peptides, the thymosin beta-4 and thymosin alpha-1 have been peptides that have been around for quite awhile. And as we started realizing that repair and inflammation have a lot more to do with healing with the immune system also and finding that if we integrate some of these peptides, we can do some amazing things with not only increasing an improving healing times but decreasing the inflammatory side of scar tissue formation, which in my field is detrimental, especially in high level athletes where you can’t afford to have any scar tissue because of recurrence of injury. And you want to continue to keep them at top level function. So a lot of things, I guess, led me into this and pushed the envelope. So about eight years ago, when I first saw one of the Dancing with the Stars people who their career ended and they were looking for alternatives, we were able to turn that person’s career around and actually had some profound changes in their life. And as you know with what you do on your show, the whole key to anything in getting somebody back to some semblance of restoration of function and repair, it’s a very hard thing to do because it’s all encompassing. It has to do with diet. It has to do with education. It has to do with exercise. And so sometimes when you get some of these people with injuries, you can’t hit everybody with everything at once. It’s just a self-perpetuating process of those people talk to other people who talk to other people. And then your practice just explodes with those type of clients and athletes. And then on the other side of it, I am fortunate to be able to use it in a lot of my clinical practice, not just in repair of injury. But I’m also an integrative doc and am fellowship trained in metabolic and nutritional medicine, advanced fellowship in that. And so I do it all. And you have to do it all if you’re really trying to look to get a lot of these people to their top function and looking to succeed in getting them back to their goals. And you know how that is. Gosh! That involves everything. DrMR: Sure. Sure, no, it’s a great point. And one of the questions I’d like to ask before we get into some of the nitty gritty, because I definitely want to ask you very specific questions like specific peptides for specific ailments. But how would you comment on the general state of the science? Because I’ve looked through some of the literature. And it does look like we’ve got some preliminary evidence showing either outcomes, meaning improvement in function in humans, or at very least the ability to increase certain compounds in the blood like growth hormone. So there’s definitely some very interesting preliminary evidence. But it seems to me, at least from a quick purview, that we’re very early in our scientific understanding. But as someone who is fairly well versed in this, how would you comment in terms of where the science is, where it’s going? Any exciting breakthroughs that we’re on the cusp of? DrWS: Oh my gosh! Yeah, so I’d have to counter that and say there’s a plethora of literature out there. So a caveat to answer part of that and then to continue with your question. So I was able and fortunate enough to get a group of people together to fund a nonprofit organization, the International Peptide Society [IPS], and start a foundation for physicians where we could be a one-stop shop for information and research and blogs and clinical applications for peptide therapies. And we have over 11,000 articles on this site that have a focus on different peptides and their functions in the body. You have over 7000 natural peptides in the body that can be hormones, neurotransmitters, ligands, enzymes. So peptides really cover a great span of the biological processes of a cell. So just to give you a little bit of information, we’ve been working with peptides since the 1920s. Insulin was the first peptide that came to market. That was in 1921. Insulin! Insulin is a peptide. And most people don’t know that. DrWS: All the literature and information that started on peptides really began with insulin. And it was a game changer. Oxytocin, gonadotropin-releasing hormone, vasopressin—those are all other original peptides with a plethora of data that has been gathered on just a couple basic peptides where things started. Full circle right now, that’s where big pharma is going now because it’s not about molecule discovery. It’s about, gosh! We’ve identified these peptides and what they do in the body and specifically where they may signal a neurotransmitter to do something or an enzyme to do something or a ligand to do something or a toll-like receptor to do something. It’s already there. So why try to reproduce a molecule when we know it’s there and we can synthesize that amino acid chain? So the body recognizes it. It’s normal and so forth. So the problem has always been, how can we keep it stable before the body recognizes and tries to degrade it enzymatically? Well, now with certain bonds associated with peptide bonding, we can keep those peptides’ half lives longer in the bloodstream to do what we want them to do. And in fact, we can do things where we can conjugate these peptides. We can add other type of bonds where we can cross a blood-brain barrier, where we can penetrate the cell. The research is off the hook now as far as we go with peptides. And it’s the future of medicine. Oncology is breaking huge ground right now in research on where peptides are going. Metabolic disease. And it’s in every silo of medicine. DrMR: So are we very far along the road of having clinical trials? Because the way I would define far would be we have at least a handful of clinical trials showing outcome efficacy. And I’m on the same page with you in terms of being excited about this. But just to get the audience on the same page because the way we could define the evidence being far along or not far along may differ. From that perspective, what would you say? DrWS: So right now, there are 140 clinical trials going on, on peptides. There are 500 pre-clinical trials being assessed that will be undergoing that process soon. So that gives you an indicator right now of what’s happening “from the clinical side.” That’s explosive. DrWS: That’s unheard of. It’s where everything is happening right now. There’s a handful for growth hormone. There’s a handful for the immune system. There’s a handful, another factor of the immune system. There’s a handful for tissue repair. “I’m not sure which one I should use?” I’m sure there are doctors out there. But I think people, if we can help try to maybe organize some of the peptides into different categories. Is there one or two for growth hormone facilitation you would say is the best? Is there one or two for gut healing you would say is the best? Is there one or two for tissue healing? Or maybe you wouldn’t say there is, and it’s highly personalized. And someone should work with a clinician. But help us try to navigate into the application here. DrWS: Sure. And those are great questions. So I head up the A4M [American Academy of Anti-Aging Medicine], the peptide workshop to introduce peptides into clinical practice for physicians and health practitioners. And I also head up the peptide certification course that takes the physician and health practitioner through a series of understanding just what you described in a nutshell but through all the systems as far as the brain, the liver, kidney—basically, how it applies in pathophysiology and metabolic disease. And then taking them through case studies. And it’s a very comprehensive process that we’ve built over the last few years. And it’s the most popular course presentation right now in the A4M. Through the IPS, we also run courses, which I’m the chairman and medical director of. And we also run a fellowship through this. But you have to go through the certification course before you get to the fellowship. So in a nutshell, answering what you’re trying to ask right now, we spend weeks and weeks and weeks. DrWS: But in general, you bring up some great points. Peptides, how do people look at these? And I think most of all, you can look at them in two general categories, I would say. I’d say, let’s look at peptides as far as wellbeing and possibly restoration of youth or whatever you want to call it. And then let’s think of it as repair. And then you can start to get an idea of what is the focus of utilizing these peptides just generally. I think the basic thing we all try to look at, in any disease process or in just the process of aging, as you mentioned growth hormone is a concern. And the reason is because, as we age, pretty much from the late 20s to early 30s we start losing the ability to produce growth hormone which is pretty much the end hormone in relative regulation and manipulation, I think most importantly, of the mitochondria and then also of the immune system and of immune-regulating cells. So as we lose the ability to produce that growth hormone, it has a direct effect on the cell, the function of the mitochondria, and the function of your immune cells. There’s no getting around it. Science is there. The research has been done. And it’s been proven. So if you can do something to recreate the possibility of your growth hormone release, which we know comes from the brain but also comes endogenously from cells which is a whole other topic—but if you can do it in a physiologic (meaning a normal fashion that the body is accustomed to, meaning not exogenously, meaning giving growth hormone synthetically). 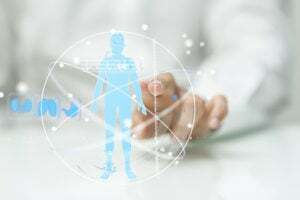 We’re talking about doing something to stimulate your body to produce your isoforms which are just different forms of growth hormone depending on what’s needed. You produce your own growth hormone. Well, if we can start giving you the ability to bring that back to a physiologic state like you were when you were 30, that’s a pretty amazing thing if you can do that. And in fact, you can do that. And it’s all about pulsing the amount of growth hormone that the body wants to do it and how to do it. And so there are peptides that you can use to enhance your body’s ability to produce what it physiologically can. And what’s remarkable, it doesn’t matter if you’re 80, 90, or 100 years of age, that anterior pituitary will produce the same amount of growth hormone as you did when you were 20 if it’s appropriately stimulated. You don’t lose the machinery to produce growth hormone. You just develop problems in releasing that growth hormone. And so that’s what these peptides do. They turn that mechanism off. And they let the body do what it wants to do in releasing it. And thereby, you get those multitude of amazing things that physiologic (again, I emphasize physiologic) growth hormone can do for the body. And for the mitochondria, as we know, it’s a big deal because you’re improving that ability to produce the energy that the cell requires. And it’s going back to basically getting that cell on a level to produce the ATP it needs to decrease the amount of reactive oxygen species like it’s supposed to stop all these. See, really what happens is you get into these problems where it gets into gene issues actually. It goes all the way to gene transcription and what we can do phenotypically to a cell. And all we’re doing is we’re going back to stopping that cell from changing and mutating to become a bad cell, reduce cancer, or to be a weak cell. We’re changing the function of that cell and bringing it back to a useful state. And that’s just a bird’s eye view of trying to describe 10 million things that happen in a cell. DrMR: And is this with a growth hormone, creating peptides specifically? Or with any peptide? DrWS: No, so this would be with a growth hormone releasing hormone, which is a peptide. And then there’s also a growth hormone releasing peptide. There are two different ones. One increases the pulse or the amount of what a cell will release. And the other helps the cell release it. So let’s say a growth hormone releasing hormone, like modified 1-29 is commonly referred to as a growth hormone releasing hormone. Or there’s another name—CJC-1295. For the purpose of this today, we’ll say those are the same. And those are growth hormone releasing hormones which are very commonly used to increase what we call the pulse of what the brain will release. But the brain won’t release it because it’s inhibited by what’s called somatostatin. Well, when you bring in this GHRP with that GHRH and that GHRP could be growth hormone releasing peptide-2 (GHRP-2) or GHRP-6 (which is another name for ghrelin) which is produced in the stomach or ipamorelin. Those are GHRPs. So mixing those together is crucial to work together to get that endgame of that growth hormone release because if you just give a GHRH releasing hormone, you can’t be assured that you’re going to release that when you want to because somatostatin is still going to inhibit that release. And that’s the thing that happens when you get older. That inhibitory process is more difficult to control. And so that’s what this GHRP does. When you use it, it releases. So it stops that somatostatin inhibition. DrMR: And so it’s a growth hormone releasing hormone, and what was the second one? I’m trying to take notes here as you’re talking. I didn’t quite catch the second name. DrWS: Sure. A growth hormone releasing peptide we call it. DrWS: One is called a GHRH. And one’s called a GHRP. And that’s where a lot of this gets lost in translation where people say, “Well, gosh. I was using—” Sermorelin is one of the earlier GHRHs. And it was a substitute for growth hormone. It was used for growth development awhile back. But anyway, it was one of the earlier ones. It has a shorter half life. But the problem is people just tried to use that by itself. And what they didn’t realize is that that GHRH by itself sometimes could release great pulses. But you weren’t timing it correctly. And that’s because you weren’t including a GHRP with it. So to include a GHRP is crucial if you really want to utilize a growth hormone releasing hormone like CJC-1295 or Mod GRF 1-29 which are the common—it’s the same thing. But it’s a 29 amino acid sequence that’s based off the original GHRH that’s released in the anterior pituitary. DrWS: It just stays around a little longer and does the job a little better than sermorelin. DrMR: I had caught some of this discussion. But I didn’t fully realize that these two are, I guess, ostensibly seemingly department upon one another. DrMR: So that’s really good to know. Now, assuming someone has a doctor who’s open minded. And maybe they’re a little bit new to this, would you say there’s one good starter compound from each one of these two categories that they should discuss with their doctor? DrWS: Sure. So the interesting thing is doctors or physicians can start off very slowly with this process. What the next step in understanding is that you could actually just use a GHRP by itself because the GHRP will release that growth hormone. It won’t be as big a pulse. But it’ll still release it. And so you could strictly use just a GHRP at nighttime before you go to bed. Well, then that’s one of your first indicators also besides following a lot of indirect type of laboratory testing. You’re getting some definitive, objective findings that, “Okay. My sleep is getting better. I feel more refreshed. My brain fog is going away.” All these little interesting things that you follow clinically you can see with just nighttime dosing. And actually, there are clinical studies that show that nighttime dosing of a GHRP can improve bone density. So this is a very, I think, easy way to start, especially in your older patients where you’re looking to maybe do a lot of things at once. As people get older, they get more sarcopenic. They’re not able to eat as much. Well, GHRPs, certain ones, can improve appetite and delay gastric emptying. So you can improve your protein intake. So you can do things with sarcopenia with this also. So there’s just a tremendous amount of things you do. And that’s just one peptide. That’s just one time, at night. And imagine if you start to understand how to really utilize these peptides where, use it in the morning, use it at night, and use it in the middle of the day. Then you’re really pulsing a lot of your natural growth hormone. And you’re improving all of these other parameters to a much higher degree. DrMR: So that’s really nice to know. So people have an easy entry point. And I believe you had mentioned three before—GHRP-2, GHRP-6, and ipamorelin, I think it was pronounced. Would you say one of those is a better starting point than the others? DrWS: I think ipamorelin is probably the easiest one to use because if you’re looking for something that may not increase appetite, it has a lesser effect on appetite. And there are less, let’s say, prolactin and cortisol effects. Even though they’re physiologic, they’re less effects. So ipamorelin is something very easy to start with that a lot of people like to use. DrMR: Gotcha. Okay. That’s really great to know. I think these little tips for people starting out will be very, very helpful. And so with the other two you mentioned, the growth hormone releasing hormones, the CJC-1295, the sermorelin—those should always be mixed with one of the other compounds, correct? DrWS: Yeah, I think you’re wasting your money if you use any of those without a GHRP because you potentially aren’t going to pulse any growth hormone out when you use it. So the whole idea, again, of utilizing these peptides is using them in a timelier fashion. 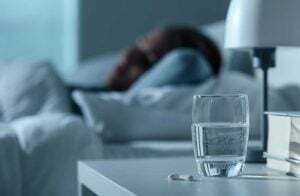 And if there’s one time in the day that you’re going to do it, it’s right before bed because that’s when your body naturally through its circadian rhythm is going to produce its best wave of growth hormone. And that’s going to be in the first cycling of sleep. And that’s what you’re trying to improve anyway. So you want to entrain those receptors. And you want to improve your deep sleep. So that’s the best. Then in the morning, first thing when you wake up is the next time, in the morning, because you take advantage of your higher cortisol levels in the morning. And a lot of other things that are synergistic with the potential of what these peptides can do because they’re going to utilize fatty acids better. Fatty acids are important—beta oxidation and oxidative phosphorylation and the TCA cycle. So all these things play together if you know how to utilize them at the right time. Hey, everyone. Let’s talk about one of my favorite tests for digestive health, the GI-MAP from Diagnostic Solutions, who has helped to make this podcast possible. Now if you’ve been reading any of the case studies that I’ve published in The Future of Functional Medicine Review clinical newsletter, you’ve likely seen that this test, the GI-MAP, is a test I frequently use in my practice. Why? Well, one of my favorite things about this test is it has excellent insurance coverage. So this is a few hundred dollars I save patients. This lab is also CLIA certified, which is essentially the quality assurance bureau for labs. So it’s important that these labs are being monitored, not cutting any corners. That’s where you get your CLIA certification. Now, this test uses quantitative PCR technology. So it’s a DNA test. 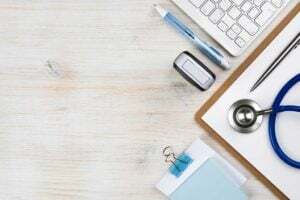 And you’ll get a good read on dysbiosis with this test because they will assess and report out various types of bacteria, yeast, and parasites including protozoa, worms, and amoeba. 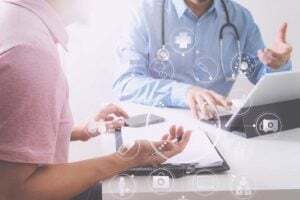 They also have some valuable and helpful clinical markers like calprotectin which can help rule in or out irritable bowel disease, and zonulin, a marker of leaky gut. So head over to DiagnosticSolutionsLab.com to learn more and to order your test. DrMR: Now shifting off growth hormone, there’s also the immune system. And I’m not sure if you would tie in immune system and tissue injury and tissue repair together. But I’ve heard about thymosin B4 (beta-4) [TB-4] as being a pretty effective one for tissue healing. I’ve heard about people using it for various ligament, tendon, joint pain. Also, I’ve heard about people using it for hair loss and for skin health. I’ve heard some chatter about autoimmunity. But I haven’t really gotten too deep into that. So would you layer these two in terms of tissue repair and immune system being somewhat separate? Would you bundle them together? And how would you tackle this? DrWS: Yeah, so again, that’s a loaded question but a great question because we’re learning that injury is not just about inflammation. It’s also about what happens with the immune system. And so they play integrally together. I think if we’re going to just talk about tissue repair, if you’re starting out with tissue repair, the importance of tissue repair is really being able to not only work with accelerating tissue healing, but what can you do to improve what we call the extracellular matrix of the cell. It’s where the cytoskeleton is. What actually TB-4 does is it works on GiActin. And GiActin is an actin within the extracellular space. It’s important in motility of the cell. It’s important of how the cell is going to actually organize its healing. And that plays a role in how collagen will align and how it polymerizes. And so it’s very important to get that process right so that you’re not making scar tissue, number one, because scar tissue is bad because it’s not vascularized. It’s not the right type of collagen. And it’s prone to re-injury. So if you can stop that right away and you’ve got a peptide that can help assure that you are going to repair, say, a ligament or a muscle or something appropriately, well, there you go. And so you’re TB-4 is that nice type of peptide that will not only accelerate tissue healing. But it will give you that cell signaling to ensure that you’re going to get the right type of collagen and healing with correct alignment of collagen. Well, if you’ve got something like that, then maybe the other process we look at adding might be something like BPC-157, which is called a body-protecting complex, is what BPC stands for. And it’s actually a natural gastric peptide that is produced. And we’ve been able to synthetically copy it. And actually, that was done by the Croatians who developed that. And so we’ve been able to synthesize a peptide BPC-157. And what it does, it actually doesn’t have a direct affect on a cell. It actually stimulates the activation of a lot of different pathways, angiogenic pathways. 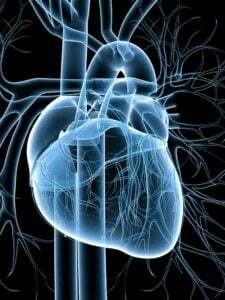 So blood vessels vascularize into an area to heal. It has to do with focal actin kinases which act with GiActin in the extracellular matrix. So they do the things to recreate the homeostasis you want in a cell as it heals. But it does it at an accelerated rate. So there are two peptides right there that, I think, for just repair are your go-to peptides for something like that. DrMR: Sorry. [BPC]. Would you say that has a slight benefit for healing the gut? Because I’ve heard again, a few patients through the grapevine who’ve done some experimentation with peptides have found it very helpful, the [BPC] that is, for the GI. But I know there have been a couple trials showing at least some healing mechanism for various gastrointestinal tissues. And we have a lot of people who follow the podcast who struggle with IBS or SIBO or just general digestive distress. So would you say that would be a better starting point compared to the thymosin? DrWS: Oh yeah. Absolutely. So you’ve gotten into another area. So if we’re going to talk about the gut, the BPC is actually—so when we go through BPC in our clinical workshops, in our certification fellowship, we spend sometimes half a day on the GI aspects of BPC. It’s used in colorectal surgery. I would tell you the first place where people learn how to really utilize the power of BPC is when they’re trying to get people off PPIs. And it’s profound. And it’s an amazing process to be able to take somebody where people have had Roux-en-Y anastomoses, people who’ve been on PPIs for many other reasons, for gastric reflux or whatever, you can utilize this peptide to actually not only get these people off the PPIs but also to restore their gastric mucosa and to stop the epithelial breakdown that happens. Eventually, immune disease is where the antigen-presenting cell is able to get the lipid polysaccharide to transpose through the bowel because of the leaky gut stuff. You’ve got the ability now that you’ve got, besides your diet change and all the other amazing things you can do to slowly work on the gut—well, you’ve got something that can acutely work on improving the gastric mucosa and that barrier to revitalize the bowel. So in fact, that comes up with the discussion. BPC is not just subQ. You can use it orally. You can use it as a pill. You can use it intranasally. And the interesting thing is, if you use it orally, it works just as well as giving it subQ. So again, it’s not a direct cellular effect. It has secondary effects through growth mechanisms and patterns, signaling, that create this improvement. It stimulates early growth response factors. DrMR: Now, a question on that specifically. If someone had gastric lesions compared to, let’s say, distal GI (they’re color lesions), would you say oral would be better for gastric and then injectable would be better for the colon? Or does regionality not really matter? DrWS: It doesn’t matter because it’s all a secondary process. The nice thing about BPC, it’s one of the few peptides that you can take orally. They come in 500 mcg tablets. And you can take it twice a day, even once a day. But typically, most of the people use it subQ. But it’s the same effect. So that’s what I would tell you. That argument was an early argument that people tried to say, “Well, if you do it orally, you’re going to get a better response.” Well, no, that’s not true. It actually does not have a direct effect on the cell. They’re all secondary, indirect effects on different cycles in the cell. But it works intraperitoneal. It works subQ. It works intranasally. It’s really an amazing peptide. DrMR: So it’s a standalone? DrWS: Yeah, so what’s interesting about it—that’s a good point to bring up. BPC also upregulates growth hormone receptors on all the cells. So that is why you’ll see people use BPC with these GHRHs and GHRPs because you’re working on both sides. You’re not only working on the self-stimulation. But your BPC is going to upregulate your growth hormone receptors in not only the brain but in the peripheral cells. And basically every cell has a growth hormone receptor. DrMR: Gotcha. And with this compound—and if you want to comment on the various growth hormone facilitators also—is there a certain time…? Because I think one thing that both clinicians and patients like to be guided by is, “Okay, if I’m not seeing at least some response by X time interval, then I should move on or tweak or modify.” So is there a certain time of response that you find is typical? DrWS: Yeah. Well, again, it all depends on the significance of the disease or what the patient is—that’s another, I like to say, loaded question. It’s really dependent upon, where is the cell in time as far as function? But I would say grossly, the BPC, let’s say, for pain or for inflammation or things like that, it works fairly quickly within the first week, within days actually. And that’s one of the interesting things in using BPC postoperatively. It makes profound differences in swelling and in helping you progress with people postoperatively. But with acute injuries, that’s the beauty of BPC. It’s first and foremost going to work on edema and inflammation. And you’re going to see that pretty quickly. So from that side of it, from a repair side, from the inflammatory part, you’re going to see immediately. And then you’re going to see acceleration of things. And this brings me to a really interesting. So if you look at that, then you start to think, “Well, what can I do to protect the cell?” What about cytoprotection? Isn’t that really what we’re all looking for? Well, here’s a peptide that actually is cytoprotective. So let’s say you do have an injury and you already have BPC on board. Well, your inflammatory process is going to be significantly accelerated. You’re going to be able to lay down collagen faster. Your body is going to respond. And so what we’ve seen with BPC is actually, people who train, you can recover better. And that’s profound. Think about that. You’ve got a peptide that you can utilize to really make a significant difference in how you recover from your training. And that’s huge. And that’s just one peptide. So I’m actually very lucky and fortunate. I’m involved in some research and processes where we’ve actually taken, let’s say, a peptide like that. And we’re combining it with other things that improve collagen and collagen healing in not just training but injuries. So imagine if you had that all in one product. Then you could utilize it. That’s going to have a profound difference, I think. DrMR: That’s exciting stuff! I agree. And with the BPC, is there a length of use? Do people use it forever? Do they wean off? Do they cycle? DrWS: It’s a great question. So what you want to know with that is—okay, so in those questions, it would be…okay, are there any toxic effects of BPC? Are there any toxic effects due to length of use? And the answer is no. The next would be…is there any desensitization of the cell to BPC? And the answer is no. 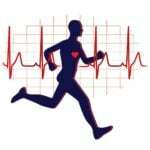 So with that information, we’ve taken that forward in developing protocols for tissue healing or for cytoprotection for athletes or for the heart. So you can go through cycles—six week cycles, three month cycles. Or you can stay on it continuously without any adverse effects and without any desensitization of what the BPC is going to do and how it functions in stimulating the cellular processes that you’re trying to take advantage of. DrMR: Right. Right. And with the growth hormone peptides, would you say the same thing? Do you cycle on and off? Is it better to cycle these than use them in the longer term? Or how would you comment there? So if you’re staying within the physiologic means of what you can do, well then, it’s self-perpetuating. You can do it forever. You’re not going to desensitize. You’re not going to run into any issues. You’re going to do what the body wants it to do. So those are lifelong processes that you can take advantage of and have no repercussions and no downsides. And all you’re doing again is not only protecting the cell. But you’re upregulating the cell to where it could be at its highest function. Now some people do get into trouble. So when I mentioned that GHRP, there is one GHRP out there that’s called MK-0677. And it’s an oral peptide, a GHRP, that’s a very potent oral peptide that body builders and weight lifters abuse, kind of, because it’s a stronger peptide. And it has a longer half life. So what it does is it can desensitize the receptor. And these people that use it too long, actually studies are out now where it shows it has an effect in the brain where it can affect anxiety and emotional aspects that can actually kill the receptors in the brain that have an effect on how you deal with stress. And that data has just come out lately. This is why you have to work with your physician that understands the use of these peptides so you don’t get into issues like that. And you’re not making unwise decisions and making problems for yourself when lower levels of that peptide do amazing things for anxiety, do amazing things for stress, do amazing things for reducing cellular cortisol release and things like that. DrMR: Now, regarding immunity/autoimmunity, I know a fair amount of our audience struggles with thyroid autoimmunity, some with various GI autoimmunity, probably have some rheumatoid arthritis followers also. Is there a certain peptide approach that may be best for autoimmunity or autoimmune-type conditions? DrWS: Sure. And that gets into, what are we trying to do? We’re trying to really balance the innate and adaptive immune systems. Something has gotten out of whack. The innate system started off okay. And then the adaptive system took over. And it’s that balance of Th1 and Th2. And we have an amazing peptide called thymosin alpha-1 which is known also as Zadaxin. It is a peptide that will help in regulating not only inflammatory response. But what it does is it balances that immune response. And it tries to do things to influence the T-regulating cells. And without getting too complicated, in improving the ability of, let’s say, the dendritic presentation of the antigens, it controls so it’s not overdone. So it balances that, if we’re trying to simplify, that immune overreaction. It’s going to tamper that aspect down, so to speak. And so you’ve got some amazing ability to take a peptide like this, to start working in helping you regain control of the immune system. And that’s where I see a lot of integrative docs going in utilizing thymosin alpha-1 and seeing some amazing feedback from that. Just take simple things like herpes zoster and shingles. What if you have a way all of a sudden of controlling—you’re not going to cure it. But what if you have a way of controlling that immune response and that recurrence? You can speed up the recovery of herpes zoster with thymosin alpha-1 because you can. You can control herpes zoster outbreaks. People who know when they get into certain immune issues or stress that they’re herpes potentially can recur, you can control that. You can actually prophylax that. And in fact, you can talk about a lot of this about traveling around the world and knowing when you’re going to be immune compromised. Well, you can control that. You can upregulate your immune system so that you’re able to better handle and, let’s say, stave off that potential viral infection or bacterial. So it’s an amazing peptide to use. And then using that in conjunction with what you mentioned. So TB-4 also has some immune properties in working with macrophages, so to speak, and how to control the activation of a macrophage. So that working on top of working with thymosin alpha-1, you’ve got some interesting things you can do in working with people that have some of these disease processes and just starting to control them. And what’s nice about this peptide stuff is obviously we’re all big proponents of, well, you’ve got to do the right things. You’ve got to clean up the gut. You’ve got to do all the things to make the patient realize how important his diet is and exercise and those things. Well, this is just another tool to help you get there. But it helps you get results. You’re looking to gain ground faster and see these things change. So that’s what’s amazing. And on our IPS site, we have this clinical forum, a board. That’s where docs just give their scenarios of how they’ve used and what’s happened to their patients, what they’ve seen. So there are a lot of things docs gain from hearing what other docs or medical practitioners do and how they treat their patients. DrMR: And the thymosin beta-4, would you say that has a certain advantage in terms of when to use it? DrWS: You mean from the immune side or repair? DrMR: Or, I guess, where would you say that has its strength? Because I’ve heard it can be helpful for repair. I’ve heard about it used for hair loss. But I’m not sure you would say it’s secondary to some of the other ones that we’ve discussed because there’s obviously some overlap here with healing and tissue repair. So I’m just wondering if thymosin B-4 stands out anywhere. DrWS: Well, okay. So for tissue healing, it’s great. It’s amazing. And it’s really for, again, decreasing scar tissue. But it’s also for cytoprotection. It has some amazing properties in the brain. So it can be a standalone repair peptide. It’s just the more you know about a lot of these peptides, you start to realize that it’s an art. You’re developing an art of how to use these peptides to their fullest utility. But from the immune side, TB-4 can really enhance the properties of like a thymosin alpha-1. Your thymosin alpha-1, I think, is always your go-to. It’s your first choice. But the TB-4 really can enhance that thymosin alpha-1 in situations where you’re looking to improve that also. DrMR: So for the immune system and tissue healing, kind of as a general class, you’d say the thymosin alpha-1 is the one to start with. And then if you wanted to have a synergistic benefit, you’d add in thymosin beta-4? DrWS: Yeah, so when you’re going after big disease processes, when you’re really starting to try to make a difference in Crohn’s or inflammatory bowel, things that are hot and not great, you’re looking to hit them with everything you’ve got. I think a lot of people would like to utilize those together. And the BPC on top of that actually. So again, you can start to see, it can get as complicated as you want. But it can also be as easy as you want. And you’re still going to see results. DrMR: Sure. Sure, okay. And then any other, I guess you would call these, cross category combinations that you’d make? I’ve heard one doc mention that it’s good to use some of the growth hormone supports along with thymosin. Is that something that you would say is a solid recommendation? DrWS: Yeah. Well, absolutely. So all immune cells have mitochondria. So immune regulation, immune cell dysfunction is related to mitochondrial function. And it actually goes even to a deeper level of how the nucleus handles stress and what the nucleus does to signal the mitochondria. And the mitochondria produces a peptide that goes back to the nucleus and helps transcribe and act on genes to start changing how it deals with that stress. And that’s some research that has just come out within the last half a year, that we actually know now the mechanisms of these processes. So what I’m saying is these GHRHs, GHRPs can be very pivotal in working at the cellular level of improving the mitochondria while you’re also using these other peptides to upregulate how the cell functions in the immune side of it. Does that make sense? DrMR: Yep. No, it makes complete sense. One other question I’d like to ask you, and then I’ll give you the floor for some closing thoughts. As we go through this discussion, I can’t help but think, “Boy, if I were a patient, I would not want a doctor who’s just dabbling in this. I’d want someone who’s got a fair amount of experience and focus in this.” Because as you were mentioning, it can be simple, but it can also be somewhat complex. So is there an association or a certain training certification you’d look for, A? And then, B, is there one or two questions if were a patient trying to really evaluate how savvy a doctor was that you would ask to get a gauge? DrWS: Well, that’s why we’re working on a true certification for physicians right now. We have a medical body right now. We have over 300, 400 docs right now in the society, of active, valid peptide users who have been through our courses and are in our certification courses right now. That’s a pretty big number in such a short period of time of this evolution of this process of all of a sudden peptides are becoming—we’re understanding their relevance in our field. And it’s changing medicine. There’s no doubt about it. So the society, we work with actually validating pharmacies. That’s something I’ll bring up in a second. But we validate pharmacies that bring in the appropriately FDA-approved type of peptide that is a bulk source that has the UPS monogram that we know it’s a pure peptide that has gone through all the certifications and is sterile and is purified. It is what it is. And that’s very important for the docs to realize that you have to source it correctly. It’s a prescription type of process. It isn’t something you buy over the internet. Where it’s going to go bad with peptides is the fact that these things are all over the internet. And they’re sourced from China. And their certificate of analysis is not correct. And that’s what we’re trying to do. We’re trying to work with other medical entities in showing the responsibility of what we need to do to bring this to the forefront and to do it correctly. So I hope that answered your question there. DrMR: Certainly. Finding a good pharmacy would be one. Would you say look for someone who has gone through the A4M module? Someone who does anti-aging? It seems like there’s a lot of anti-aging docs who are also using peptides in their practice. But any other things for a patient who knows little about this to look at in terms of indicators that are assurances of competency? DrWS: I think it would be just having that frank discussion with, how active are you in your practice with the use of these peptides? If you go through the IPS, I’m the guy who runs this. And I’m going to say, “I want all the people actively using peptides to be part of the IPS.” Because that’s, I think, where everything starts. I think if you’ve been through any type of training, through any of the courses—and I have to say, there have only been so many courses because I’ve run them all. But I would say you want to ask if they’ve been through any peptide workshops. Or have they been through…? What type of training have they sought? And you can have that honest discussion because I agree with you. I think it’s a very difficult thing if you’re going to try to train yourself in using something. You need to be educated because we spend weeks on this stuff. Or we will spend full days on just the GHRH and GHRP. We’ll spend a whole day on that. DrMR: Right. Yeah, no, I’ve learned that even though you can get a protocol on the internet, you’re way better served if you find a professional, even if it costs you a few hundred dollars a visit and you’ve got to do a few visits. You tend to get the result you’re looking for faster if you have the guidance from someone who knows what they’re doing. So I would encourage people listening to this. If you’re wrestling with that issue, you’re way better served spending the money to work with a professional than you are tinkering on your own because as you can see here, there are a lot of different peptides, a lot of different ways it can be used. And if you’re going to spend a few hundred dollars a pop per prescription only to figure out after several months you’ve been doing it the wrong the way, you’ll likely use your money much better if you have some professional guidance. DrWS: Right. And I would tell anybody that they’re welcome to contact our staff at the IPS. I don’t have a number. But I’m sure you can find it online. And they’ll be more than happy to give you any of our members all over the United States and actually outside of the United States. So we can help people find that information. 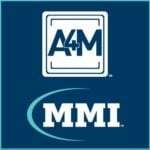 And A4M, we can do that the same way because I work very closely with A4M, certifying all our docs through A4M. So we have an ability through A4M and through IPS to get you to that doctor without any difficulty. DrMR: Fantastic. Fantastic. And we’ll put the link to the IPS website in the transcript associated with this interview. And William, are there any closing thoughts that you’d like to leave people with? And also then, please do tell people if you have a certain website or a book or anywhere else you’d like to direct people. DrWS: Well, I just want to say that I think it’s interesting times now in medicine when you seriously look at the fact that all of the big pharma companies now are looking at this side of medicine and peptides because they don’t have to discover or make a molecule. We can take something that’s already in the body that’s naturally there and just enhance that signaling or enzyme or whatever we want. We can now do that. Just understanding that, I think, is paramount in understanding where this is going to go. And the fact that, to a greater degree, it’s much safer. It’s much less toxic because these are things the body recognizes. So it’s exciting to see where this is going. I’m very privileged to work with a lot of very, very smart people. I’m fortunate to have the people behind me to make this education available for all physicians and healthcare providers. I would tell you we’re doing some amazing things from my side of it. If anybody wants to take the time to go to—I have this development site called Info.DrSeeds.com. And it’s about putting some of these things together for the public, not just through physicians but what we’re doing to provide some of these things we’re talking about that are combined with certain supplements and so forth that I think are going to be game changers. So we’re very excited about that. But again, just the fact that you’re out there and doing—I’ve actually followed your site from afar. And I’ve got to thank you. You do an amazing job of getting information out there for people to understand and to be exposed. And what you’re doing is far more valuable than what I’m doing, in exposing people to these topics. And I’ve got to thank you for what you do for the public and for people like me. DrMR: Well, I think we’re both dependent upon each other. So it’s a nice synergistic relationship. And I’m happy to be bringing people more information about things like peptides because I think they are fantastically interesting. And I would hate for the great work that’s going on in peptides to be undiscovered by the broader lay audience for another 10 years. So in any way I can help steer more people to this field and the great work that you’re doing, I’m happy to do so. So we have a good synergy going here. DrWS: Yeah. Well, we’ll have to keep a dialogue going. And we’ll keep each other informed. As you keep me informed, I’ll try to keep you informed as things are changing because it’s a lot of exciting things we’re doing right now. DrMR: Absolutely. And I just want to extend to you. Anytime you want to come back on, especially if there’s something significant that’s developed, you have an open invitation to come at any point because I have a feeling our audience is going to want to know more about this. And I could venture a guess that within a few months to a year, there’ll be some interesting couple breakthroughs. And I’m sure people would like to be kept abreast of that. DrWS: Well, here’s a profound statement right now. We’ve discovered why type 1 diabetes occurs. And it’s all because of a peptide that’s made from the insulin cell by what’s called a crinosome. It produces a peptide that signals a toll-like receptor cell that involves the immune system. We know that. We just discovered that. Tell me that’s not amazing! DrWS: That’s where this stuff is going. It’s crazy what we’re seeing out there. So yeah, I’m excited to always talk about it. And again, thank you for helping me get this information out. DrWS: You got it. Thank you. Dear Dr Ruscio – Just listened to your podcast interview with the “Female Hormone Fix”. Your interview hit home for me with so many of my symptoms. I live in Santa Barbara, California & am curious if you could recommend a functional medical practitioner in this area that subscribes to your philosophy & protocols. Thank you! So glad to hear that episode resonated with you! Exciting information. Dr. Ruscio are you training in peptide use and can you be used for guidance? A caution usually mentioned with GH use is the possibility of cancer growth. Since this wasn’t addressed in the interview I assume using peptides to encourage a natural physiological production of GH eliminates this concern? Thanks to both of you. Wow, thanks so much! Forgive the awful but obvious pun, “This guy is really sewing some Seeds!” I’m really looking forward to hearing a lot more from you about this exciting new topic. So glad to hear you found it interesting, Greg! Fascinating interview with Dr William Seeds. Thank you Dr Ruscio for continually staying on top of all the cutting edge treatments and advances in the medical world. Glad to hear you found this interview interesting! I would have liked to have heard just a quick primer on what is the difference between peptides, proteins, and enzymes.. it seems often they are used interchangeable, yet they must be different right? Thanks for the feedback, Ben, I’ll be sure to pass it along for next time! Great podcast. Now where can a person find a doctor to help? The peptide society mentioned doesn’t have an obvious physician finder. Or even a source for the peptides. I’ve used BP-157 with no benefits but I bought it online and have no way of knowing if it was legit. Hi, great article. 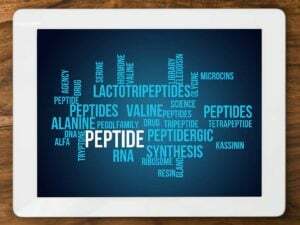 How would I find a trained practitioner for peptides in UK? You may want to get in touch with the European Peptide Society and ask if they have a list of practitioners in your area. Good luck! It’s great to know that this product can help improve your immune system which protects or heals you easily when there is an infection. I will share this information with a friend of mine since she has a problem with her skin. Since it becomes itchy a lot, she would scratch it which creates wounds that can be bad for her as well. Hope this is able to help her! How do we find doctors that are utilizing peptides and are famililar with what they are? How are we supposed to utilize the information that both doctors are promoting if nobody is using it and nobody will tell us who is utilizing it, or how to go about finding these doctors on the cutting edge? I would like to know if there’s a list of doctors using peptide therapies? I’m having difficulty finding any and not quite sure how to search for them in the first place. Is there a specific type of doctor that usually are more favorable to using peptides? ANy online links or lists of doctors? Hello! A very intriguing interview. Many thanks for all the time put into these amazing resources. I absolutely got a sense of the great excitement growing around peptide research from this interview, but I did not feel like I got a great readout on the state of completed clinical trials involving peptides. So, I’d be really interested to know Dr. Ruscio’s independent assessment of peptide science, as well as his assessment of Dr. Seeds’ two peptide formulas – Body Protective Complex and Thyroid Support System. Would he recommend either to his patients based on the current available science? Of the two, I’d be particularly interested to know if he would recommend Body Protective Complex as a general go-to support during the process of gut healing or treating inflammation.